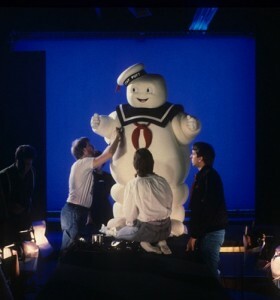 Bill Bryan Suiting up for Staypuft Scene. 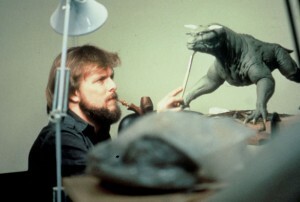 Sculpting the Terror Dog, before larger version. 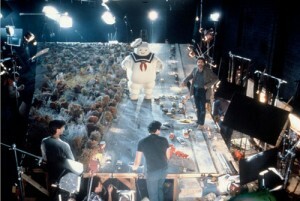 Sigourney Weaver on chair with Terror dogs.